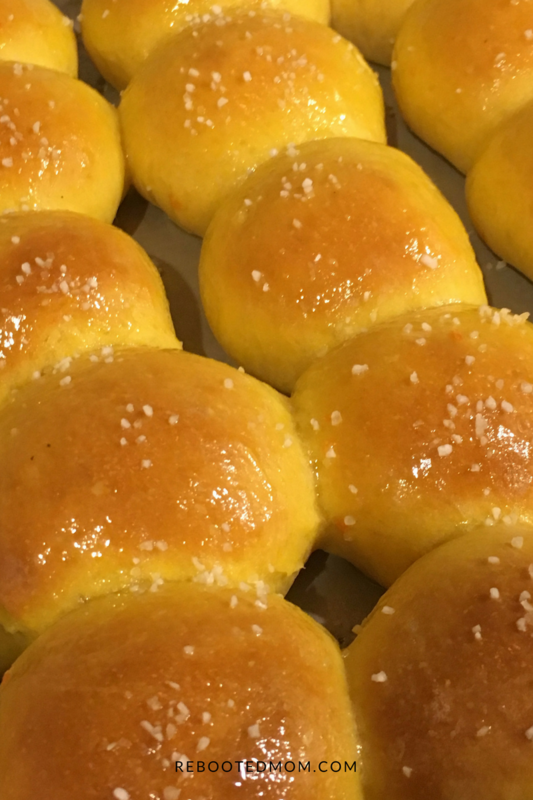 Sweet Potato Sea Salt Rolls that are light, fluffy and full of pumpkin flavor – the perfect accompaniment to Thanksgiving dinner or a bowl of hot soup! Making a really good bread recipe that leads to fluffy rolls is exciting. Making any type of fluffy bread just makes me feel like a kid in a candy store.. perhaps because I’m a sucker for a really GOOD roll. A really good roll can make me inhale several in a sitting – and I know, I probably shouldn’t, but these rolls were so hard to avoid. And while I might not jump at the opportunity to eat them in a casserole or just topped with butter, when they are steamed and mashed and thrown into these rolls .. I am in heaven! 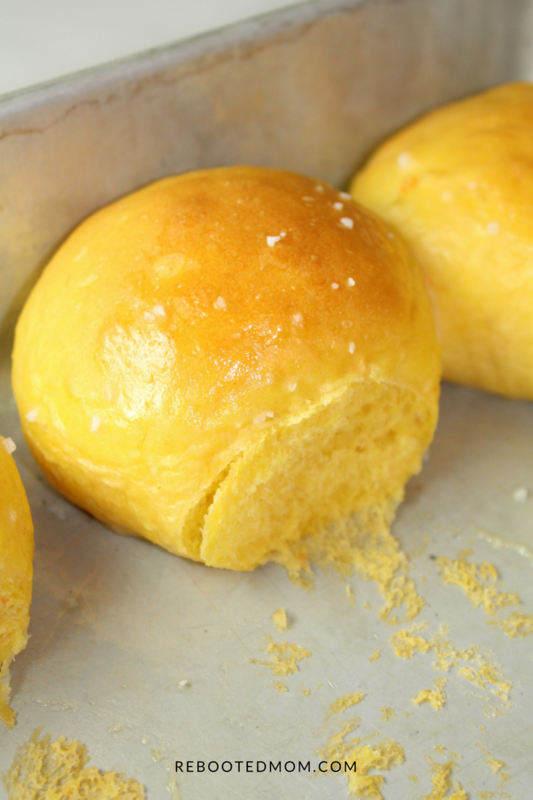 Who doesn’t love a great roll with a little butter? These rolls had me shaping dough at 2:30 a.m. and I can’t think of a better reason to stay up.. The house smelled amazing, and my husband woke up to beautiful honey-glazed rolls just a few hours later. Fresh rolls disappear quickly around our home. Not to mention we had a family friend that was moving this weekend. We delivered some fresh rolls to her house alongside Pumpkin Chipotle Soup. In a small bowl, combine the milk and water and heat until 105 - 110 degrees in the microwave. Stir in the 1 tsp sugar and yeast and let sit to proof about 5-10 minutes (should get frothy on the top - if not, toss the yeast and start with new yeast). In your KitchenAid with the dough hook attachment, add the remaining ingredients and mix until combined. Add the yeast mixture and mix until the dough is smooth and pulls away from the sides of the bowl. The dough will still be sticking to the bottom of the bowl. Turn out the dough on a lightly floured surface and knead gently for 2-3 minutes until it's a smooth ball. Turn out dough onto a lightly floured surface and separate into 20 even pieces - the size and number of rolls you get will ultimately depend on how large or small you make the rolls. Form the dough into small balls with the pinched side down and place in a greased baking dish (13x9). Optional: line the baking dish with parchment (not necessary unless you want to). Cover the baking dish with plastic wrap and let rise another hour. 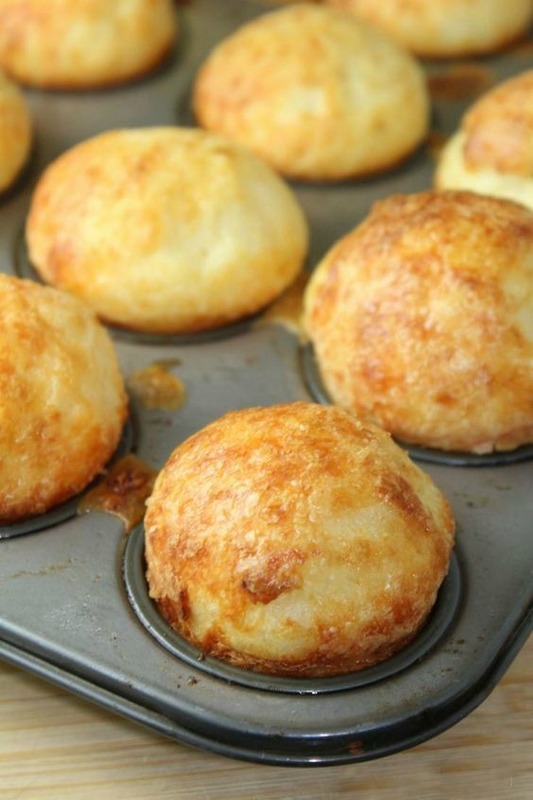 Preheat the oven to 350 and bake for 20-25 minutes - the rolls will be golden brown on top. Remove from the oven and immediately brush with the honey butter glaze, then sprinkle with sea salt and mince rosemary. Allow to cool or serve the rolls warm. 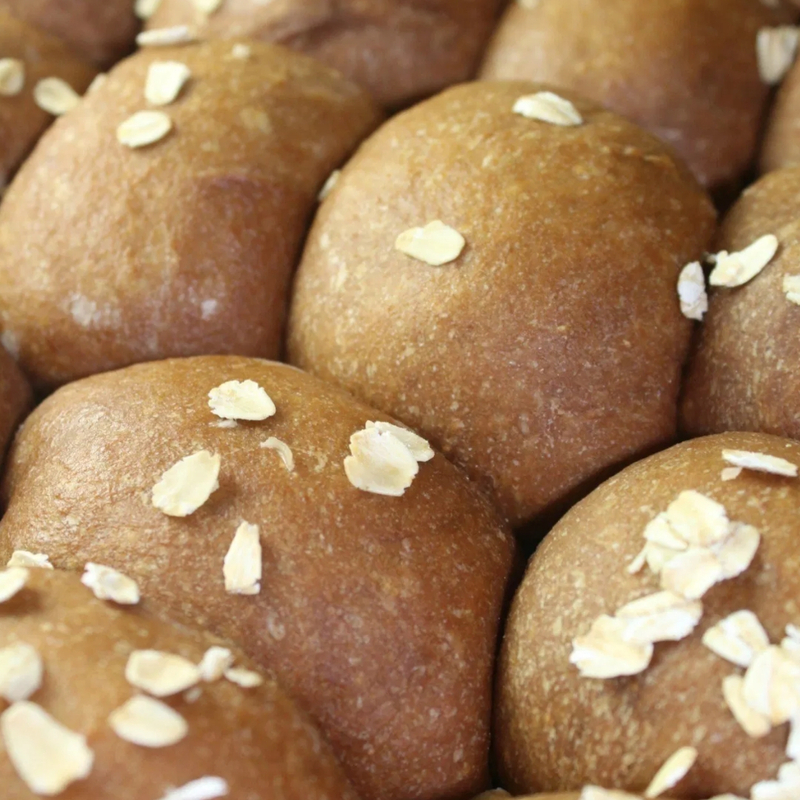 If you love these rolls, you might want to try these, too! 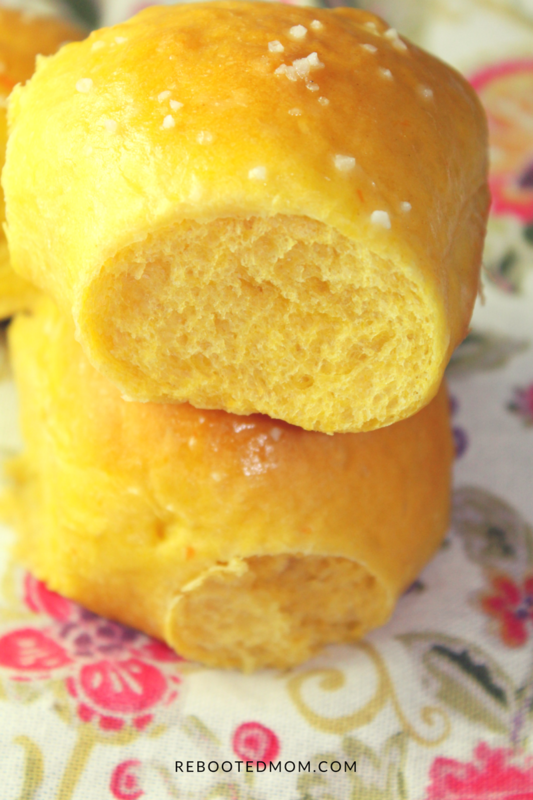 Share the post "Sweet Potato Sea Salt Dinner Rolls"